This Colloquium paper published in EPJ B by R. Kutner and J. Masoliver revisits the most significant achievements and future possibilities for continuous-time random walk (CTRW), a versatile and widely applied formalism. EPJ B, in partnership with the Ψk conference, is honoured to introduce this monthly issue with five articles written by the finalists of the Volker Heine Award 2015. The Ψk conference is the foremost event in the field of electronic structure and computation in condensed matter, and the Volker Heine award is one of its highlights. Being intended for young researchers, the award aims at helping their career by exposing their work in a prestigious international conference, and adding a modest point to their Curriculum Vitae. First-principles calculations combining density functional theory and many-body perturbation theory can provide microscopic insight into the dynamics of electrons and phonons in materials. 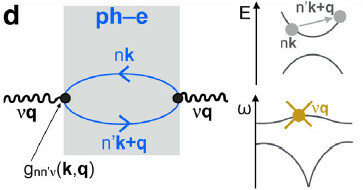 In this EPJ B Colloquium, Marco Bernardi, winner of the Psi’K young investigator award, reviews this theoretical and computational framework, focusing on perturbative treatments of scattering, dynamics, and transport of electrons and phonons. The article examines applications of these first-principles calculations in electronics, lighting, spectroscopy, and renewable energy. Freak waves, as well as other less striking localised excitations, occur in nature at every scale. The current theory and models of such waves can be applied to physics and, among others, to oceanography, nonlinear optics and lasers, acoustics, plasmas, cosmological relativity and neuro-dynamics. However, they could also play a significant role at the quantum scale in nano-electronics. In a recent study, Manuel G. Velarde from the Pluridisciplinary Institute of the University Complutense of Madrid, Spain, and colleagues, performed computer simulations to compare two types of localised excitations in nano-electronics. Their findings, published in a recent study in EPJ B, confirm that such localised excitations are natural candidates for energy storage and transport. These, in turn, could lead to applications such as transistors with extremely low heat dissipation not using silicon. Visualisation of itinerant ferromagnetic domains. 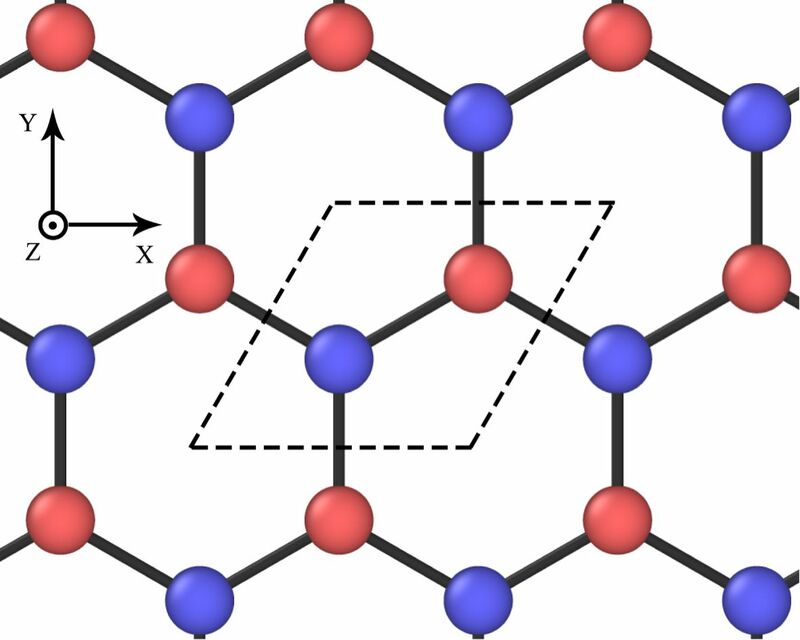 Magnetic materials displaying what is referred to as itinerant ferromagnetism are in an elusive physical state that is not yet fully understood. 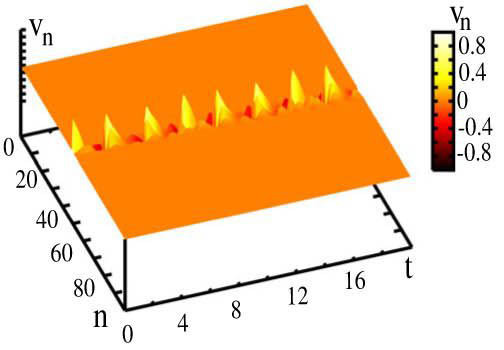 They behave like a magnets under very specific conditions, such as at ultracold temperatures near absolute zero. 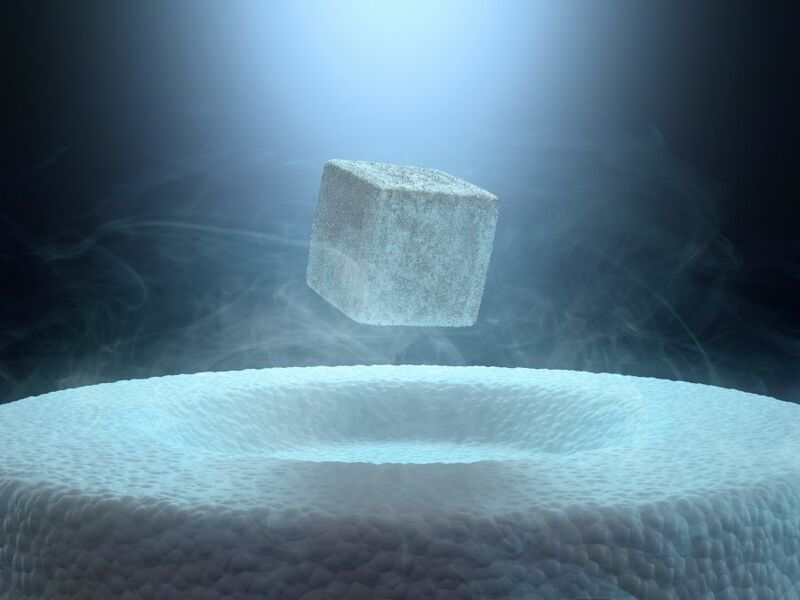 Physicists normally have no other choice than to study this very unique state of matter in a controlled fashion, using ultracold atomic gases. 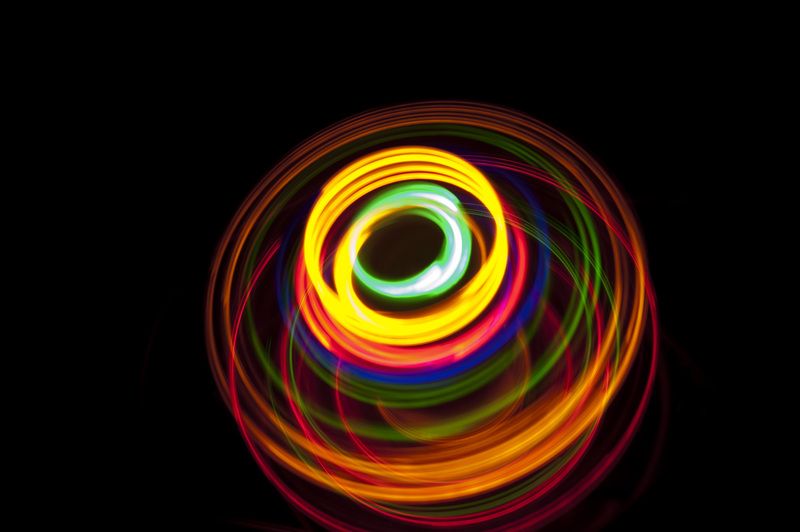 Now, a team based at ETH Zurich, Switzerland has introduced two new theoretical approaches to stabilise the ferromagnetic state in quantum gases to help study the characteristics of itinerant ferromagnetic materials. These results were recently published in EPJ B by Ilia Zintchenko and colleagues. 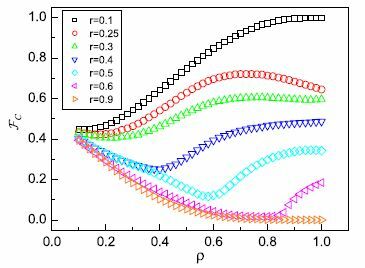 The fraction of cooperative players as a function of the site-occupancy probability ρ obtained using numerical simulations. Social behaviour like reaching a consensus is a matter of cooperation. However, individuals in populations often spontaneously compete and only cooperate under certain conditions. These problems are so ubiquitous that physicists have now developed models to understand the underlying logic that drives competition. 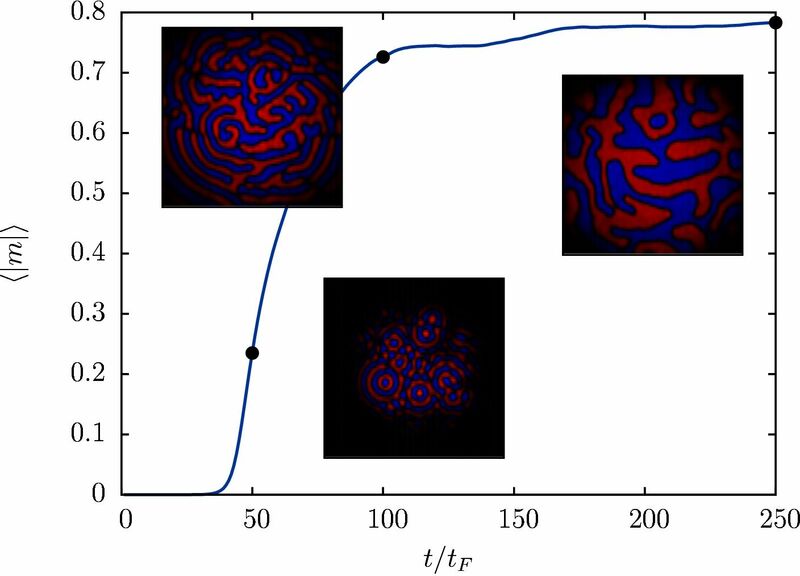 A new study published in EPJ B shows the dynamics of competing agents with an evolving tendency to collaborate that are linked through a network modelled as a disordered square lattice. These results are the work of Chen Xu from Soochow University, Suzhou, China and colleagues. They believe that their theoretical framework can be applied to many other problems related to understanding the dynamical processes in complex systems and networked populations, such as the voter dynamics involved in reaching a consensus and spreading dynamics in epidemic models and in social networks.